A great friend and great man of God posted this picture on his FB page today and it’s something I’ve been thinking about for a while now. Before I get started, I want to make sure it’s clear that this blog post is not about any 1 particular church, it’s about many collectively. I’ve been looking at people around me in ministry positions and looking at different churches and even looking at myself. This question, “why?” Has been coming to mind alot lately. Maybe it’s judging others motives, I don’t know. I do know I’ve definitely been questioning motives and hearts and pondering whether these different things are anything I want to be apart of and better yet, are they things I want my children to grow up seeing and becoming a part of. Matthew 7:16 By their fruit you will recognize them. Do people pick grapes from thornbushes, or figs from thistles? I think it’s very healthy for us to observe the hearts of those in ministry around us and ask that burning question, “why?” Over and over again. Why are we changing so much, why are we posting selfies of our greatness on FB… Constantly? Why are we spending $ on this or that? Why are we choosing songs during worship that aren’t worship? Why are we decorating a stage to look similar to famous artists stages? Why are we kicking out the older for 20 somethings? Why are we putting our own agenda before anything else including feelings and caring for people who serve? Why are the rich voting out their pastor and making all the decisions in the church they attend? Why are we focused on the inward rather than what’s outside those 4 walls and beyond? Is all of this that we do for show? What is our “job” as a Christ follower? What is our job as the church? Let’s look at what the Lord has to say about this. James 1:27 Pure and genuine religion in the sight of God the Father means caring for orphans and widows in their distress and refusing to let the world corrupt you. Wow!! This could be several posts. I don’t see anything in here about growing our own building or anyone being too old or too young for ministry. I don’t see anything in here about conforming to the world for any reason other than the word “don’t”! I don’t see anywhere in here that says we need to focus on money because the more you give the more you’ll be “blessed”. What I do see is this. I see selflessness, humbleness, righteousness, and a Christ minded body of believers who put their own agendas aside. I see a boldness that we as Christ followers should have in saying “NO” to conforming to the world and what the world deems acceptable and right. I see mission trips outside of the USA and also inside the USA. I see serving food in soup kitchens, I see clothing the homeless, I see feeding widows, and making hospital visits and prison visits. I see Christ in these scriptures. And no! “It never says if you are a pastor, do these things!” Scripture simply says that if you follow Christ… You should do these things! But, do we see Christ in our churches? Do we recognize Christ in us, in our own heart? Clay is always telling me that I’m worrying about things I can’t change and I need to stop. He’s right… Mostly. I should definitely stop worrying! But, what if? What if someone reads this and says to themsleves “why do I do the things I do?”. Do I do them for a pat on the back or for attention? What if someone looks inwardly and says, maybe I need to reevaluate. Maybe someone will agree that the church as a whole, today’s “Christians” aren’t following the heart of God afterall. Maybe a leader in a church somewhere will read this and decide that they need to show more love and care more about their volunteers and their paid employees… Care more about people! Maybe they’ll even be convicted by the Holy Spirit to apologize and make things right. Maybe someone will read this and will make a change. My heart is broken over what we as Christians have become. We are corrupt in this day that we live in. We have chosen to conform. We have chosen only to “care” when it’s convenient and place jelews in our own crowns for all to see when we “get it right” or do something better than anyone else. Can we get back to being a humble people? 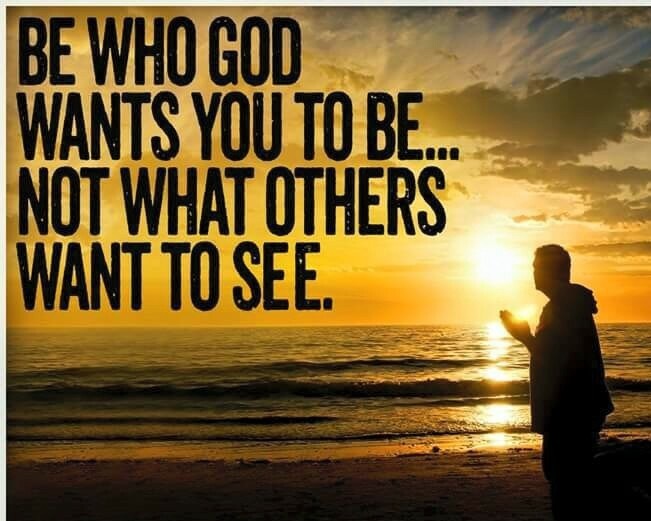 Can we get to a place where we decide to become all God wants us to be without caring who sees or what they think? Can we get back to scripture and get back to spending time in the word and in worship daily? Father, I come to you today and ask you to speak to my heart when I am wrong. Help me see how I can live for you deeper knowing you closer. Help me be a light in this dark world rather than darkness in what’s suppose to bring hope to others. Make me and mold me into who you want me to be rather than who the world would say I should be. Thank you Father, for your grace, your conviction, your unending love and help and speak to our church Lord! Help us be diligent to bring hope to the hopeless and do your will selflessly and humbly. I love Jesus. Amen.